We’re About More Than Just Barbecue! Barbecue – it’s in our name and it’s in our blood, but it’s not all that we do. Over the last few months new adventures in catering and competition have led us to recipes and meals above and beyond the barbecue horizon. I’m going to take this opportunity to catch up a bit! A 14 inch Dutch Oven was heated up to 350°F, and lined with foil to catch drippings. The filled cups were placed in the oven and cooked for about 20 minutes, until the filling set. 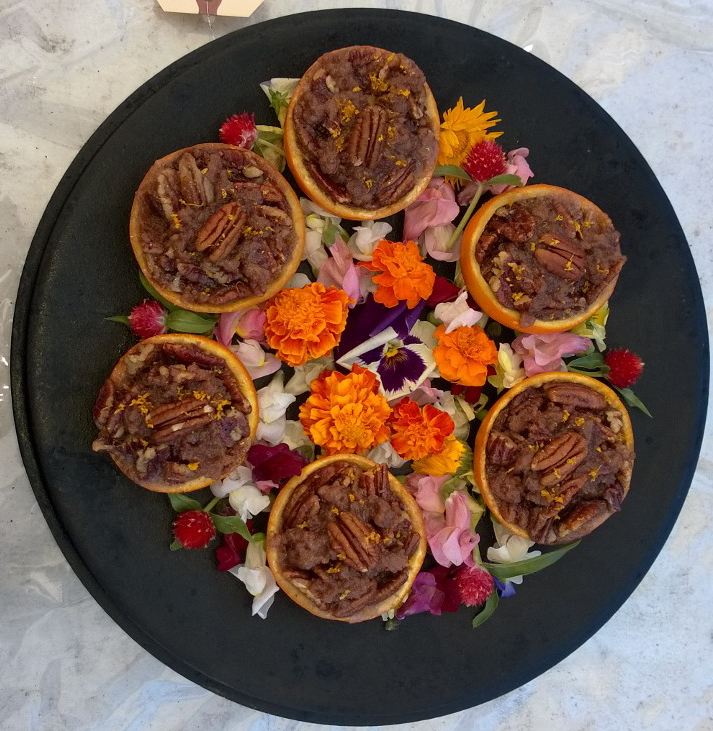 For the turn-in, the cups were served on the Dutch Oven lid surrounded by edible flowers (Dutch Oven rules prohibit the use of inedible decorations). This dessert took second place at the competition. These sliders – featured in the best food photo I have ever taken – were practice for a burger competition. The hamburger (from my favorite butcher Double DD Meats) was basted in a mirin-honey-soy glaze as it cooked over charcoal. 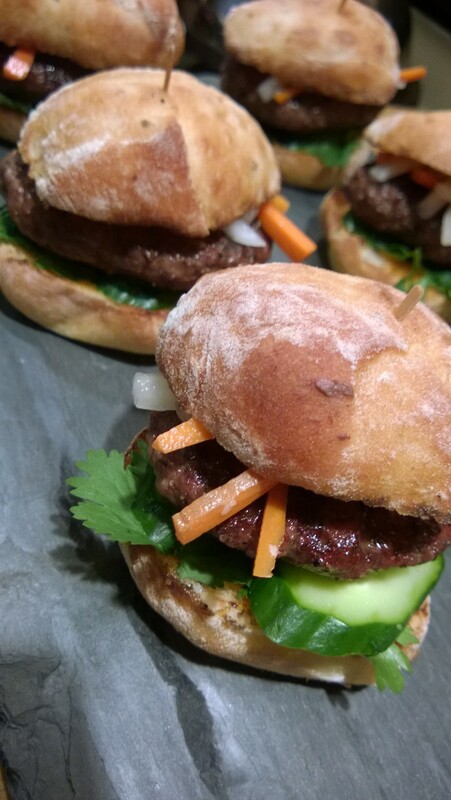 The toasted potato slider roll from Macrina Bakery was topped with a mayonnaise-honey-sriracha spread, cilantro, and cucumber, and the burger was finished with the classic pickled daikon and carrot. At the actual competition the burger ended up finishing in Fourth Place. I expect it would have done better, but I screwed up and bought Macrina olive rolls instead of the potato rolls; the burgers were still really good, but the olive rolls weren’t quite as pretty, and didn’t work quite as well with the Banh Mi flavors. 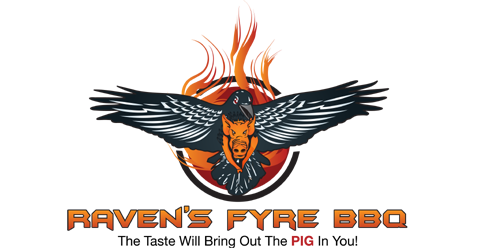 Us Raven’s Fyre folks have done plenty of catering, but a traditional Oktoberfest dinner was definitely a first! We wanted to dazzle, and make sure everyone had plenty to eat and plenty to love. For the sides, we went with two German classics: Blaukraut (red cabbage brined in red wine) and warm German potato salad. Of course, it wouldn’t be Oktoberfest without sausage! 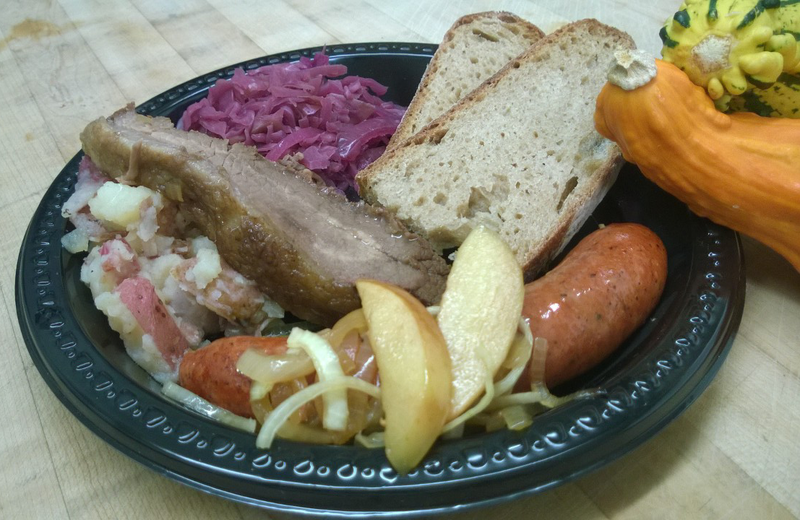 As a twist on a classic, we braised smoked German sausages in Pyramid Oktoberfest Autumn Lager with onions and apples. We decided to round out the meal with what turned out to be the most popular and praised dish, Sauerbraten. For those not in the know, sauerbraten is beef (or pork or other meats) marinated in a vinegar mixture for several days, and then braised. Normally a cut of beef such as bottom round is used, but staying true to our barbecue roots we decided to use briskets instead. Happily, this resulted in what I feel is a much more flavorful dish. If you made it this far, thank you! I have other food goodies to cover, but will cut this short before you all get too bored.